The detail above is from a recently donated quilt to Core from one of our members. Community Outreach is a very important part our “Mission Statement”. We are fortunate to have storage and working space at the Arena for our regular CORE workshops, usually held from 10 am to 1:30 pm on the Wednesday following our regular Guild meeting, from September to May, excluding December. Confirmation of dates is listed in our newsletters. All members are welcome – there is no fee. Please bring your lunch. Coffee and tea are provided. Please wear your name tags. These are separate and apart from the tutorial Guild workshops that relate to our speakers. At these workshops, members create quilt top kits, layer quilts for quilting and enjoy the fellowship of working in a group. Prepared kits for those who are unable to come to CORE workshops are available at the CORE table at Guild meetings, to be returned as either finished tops or quilts. Finished quilts have been distributed to the Salvation Army, Peel Children’s Aid, Interim House, Vita Centre (for pregnant and parenting youth), Our Place Peel, Ian Anderson House, and Peel Adult Day Services. Quilted placemats are given to Meals on Wheels in December each year. (Click here to download an easy pattern forwarded to us by Quilters Connection Magazine) We also provide quilts to any Guild member referred to us who is in need of a quilt “hug”, due to illness, or circumstance. Whether you are able to attend a CORE workshop or not, we encourage all members to participate in our efforts to help others in our community. There is no “hug” more appreciated and comforting than a quilt! Below is a recent story regarding one of these quilts..
"While I was doing my turn at Core,about 3 or 4 years ago, a member approached and asked if she could get a quilt for her grandson. He was physically challenged and in a rehab facility to learn to walk. I think he was around 14. When she brought him the quilt, the first thing he asked her was if she could get one for the baby down the hall who had been born with problems. Of course we got one for him to give her. At the May meeting our member approached me to thank me again and to say that her grandson has now just been accepted to the sledge hockey training team. Maybe someday the Olympics! She is very proud, as are all of us, and we wish him all the best and are happy that our gift of a quilt helped along the way." ​We continue to accept “Izzy Dolls” (pattern available) for the Children’s Aid. Ten Guild members attended the Core workshop in May. We made up quilt top kits and Christmas placemat kits. Stop at our table in June and pick up a kit to work on over the summer. Thank you to all who came to the Wed. workshops and to those members who made a quilt top or finished a quilt. 157 quilts since June 2015 have been given out. Thank you to Elaine Theriault and Michelle Palermo who long armed our larger quilts. Twenty-six quilts came in at the April meeting. Seventeen members gathered at the Wed. April workshop to put together comfort quilts and the CQA blocks. It was a very successful day and a lot was accomplished. 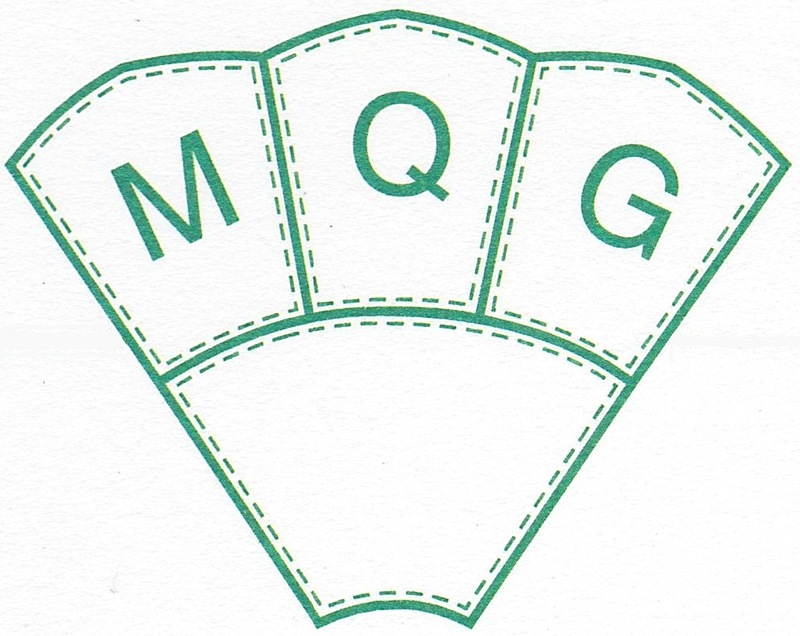 We are now in need of some Guild member to machine quilt the quilts. At our May workshop we will be making up quilt top kits and the placemat kits for our Christmas Project “Meals on Wheels”. Fourteen Guild members came out to the Wed. workshop and sewed tops and made up kits. Our cupboard is full again, with quilts waiting to be quilted. We are fortunate to have two Guild members with a long arm machine taking home quilts to finish for us, But we need more help. At our April meeting we will be sharing the room with Jane Sanders and her volunteers. They will be putting CQA blocks together. We have some new block suggestions for our Comfort Quilts. Come and help make up the kits. Next meeting is Wed. April 12, Twin Rinks, 10am to 1:30pm. Bring your lunch, sewing machine, name tag and your ideas. Place for their Silent auction (to upgrade their counselling rooms). At the Wed. workshop 12 Guild members made up kits to sew into tops and 12 donated tops are ready for machine quilting. Stop by the Core table at the March meeting and pick one up. machine quilted. We have 5 quilts on hand but no baby or children’s quilts. We have some kits that are panels that need borders sewn and some kits ready to be machine quilted. CAN YOU HELP build up our supply of finished quilts? We will have a clear plastic bin out to collect any of your donated 100% cotton fabric at the Feb. 2nd meeting. Thank you from the Red Cross [Meals on Wheels] for the 87 placemats. I just received 17 more, so please bring your placemats to Dec Meeting. Ten of us gathered on Wednesday the 9th of November and sorted through fabric and panels that had been donated. We will have some easy quilt top kits available in December. Armagh – a transitional shelter for women and children has approached the Guild regarding quilt donations. I visited the home and met with the appropriate staff. There will be a report to the Guild at the December meeting. Reminder: NO CORE WORKSHOP IN December. Thank you to all who contributed fabric, quilt tops and finished quilts in 2016. We know they will bring some comfort to all who received them. Thirteen guild members gathered at the Oct. workshop to sew comfort quilts. Six sewing machines were humming along making quilt tops and backs. We now have a cupboard full of quilts to be quilted. Let’s give members of our community in need of comfort, one of our Mississauga Guild quilts . Please help empty our cupboard by completing these quilts. Twenty-five completed quilts came in at the September meeting. We are looking for more quilts for men. We will have a clear plastic bin on our table to accept cotton fabric donations to use in our Core quilts. Twenty three Comfort Quilts were received at our June meeting and they have been delivered to the Salvation Army and Children’s Aid. In June many quilt kits went out and we look forward to seeing them returned completed on Thurs Sept. 8. Placemats – Meals on Wheels (Christmas/winter on one side – colourful material on the other) 15” x 16”. We have some kits available and more for Oct meeting. Completed placemats due Thurs Nov 3 meeting so they can be distributed to clients by Dec 1st. We continue to accept “Izzy Dolls” (pattern available) for the Children’s Aid. Our first workshop is Wed Sept 14 10am to 1:30pm. Bring your lunch and your ideas. Tomken Twin Rinks second floor. See you at the Core table Thurs Sept 8. Fort McMurray – 20 quilts and 8 Izzy dolls delivered to Ruti’s to be transferred to Quilt Source. Thank you Ruti. 14 Guild members attended our Wed. workshop and assembled kits and completed quilt units ready to be quilted. They went home with 20 quilts to be machine quilted and 3 members are trying machine quilting for the first time. From June 2015 to May 2016 we have delivered 146 comfort quilts to the community valued at $16,250.00. To all of you who have supported Core, a heartfelt Thank You. During the summer if you need a quilt for someone in need, give us a call. We always have some on hand. Next Wed. workshop is Sept. 14, 2016 from 10am to 1:30pm. Enjoy your summer and please consider taking home a quilt to be machine quilted so we start off Sept. with an adequate supply. Thanks again for your support.